“65 Mustangs” Seattle Mariners – Plenty of Talent, Plenty of Questions. What will they give us in 2016? The Seattle Mariners have a great lineage of Hall of Fame players in their relatively brief existence (1977), from Junior to A-Rod, Randy Johnson, Ichiro, and Edgar Martinez, and now, likely Felix Hernandez. Hernandez has fallen a bit this season in various rankings because of some hiccups last season and an elbow problem near the end of the year. Some fear it will be the beginning of the “decline,” but what if it was just a slightly worse year than we are all used to from the King? All top SP have a slight off year now and then. He is also one of my favorite players, and one that I draft every season in fantasy to be my staff ace, so that may be me being optimistic. He is only 29. There are quite a few other top-of-the-line players in Seattle (like Nelson Cruz, Robby Cano, and Kyle Seager, just to name a few), and some who may join them (like Taijuan Walker and Ketel Marte). GM Jerry Dipoto was charged with making the OF more athletic and the line up better at getting on base. It was a somewhat low budget attempt to win now given the age of the team’s core. They also brought in a couple of stars from foreign leagues that should contribute right away, although they are older than the typical posted signings that make a lot more noise. But Dae-Ho Lee, 1B, a Korean who last played in Japan and Guillermo Heredia, OF from Cuba, make for interesting players to watch both in Seattle and in fantasy. Let’s start with the pitching staff where two of the most interesting Mariners reside, and the hot bed of a low level closer competition. Felix Hernandez, SP: The King is one of my favorite players, who I invest in every season to be my Ace. He hit a few speed bumps in 2015 and had some elbow issues near the end of the season, causing some people to start raising the red flags. He had 8 year highs in HR, ERA, WHIP, but it was mainly the HR’s that did the damage. When looking back at the games log for 2015, it was mainly just 5 games that derailed his numbers from the norm. In those 5 games he gave up 10 Homers, or nearly half of his HRs. FanGraphs showed his avg. fast ball velocity to be 92.1, which is about 2 ticks off his career highs, but identical to his velocity over the past 5 years. He’s made some adjustments to his release and delivery to get the ball down and reduce the homers. There are some miles on that arm, as he has pitched 30 games or more 10 straight years and pitched 200 innings or more for the last eight. He is only 29, turning 30 in April, and every power pitcher needs to make adjustments as they get into their 30’s, when they can’t just rely on the gas anymore. Is that where he is, or is there some sort of injury waiting to bite? Many analysts have knocked him down to around #20 ranked SP. Perhaps he is not top 5 SP anymore, but I’m confident (read: optimistic) that Felix will turn in another King-worthy performance in 2016, and still finish in the top 10. The OF defense should be greatly improved, which will help as well. I hope he drops a couple of rounds in my drafts so I can slot him as my #2, but if not, I’d be fine with him as my ace. Taijuan Walker, SP: The 2010 1st round pick appears to be an Ace in the making. He is 23 and took a huge leap forward in 2015, cutting his BB/9 in half from over 4 to 2.12 in nearly 170 IP, posting a sterling 1.196 WHIP, and keeping his K/9 rate at nearly 9. The problem was the 25 HR he gave up in 2015 that kept his ERA over 4.00. Between Walker and Felix, they gave up nearly 50 HR, with 10 more coming at pitcher friendly Safeco than on the road. He’ll need to get the HR down to take the next step, and I think we are still a full season away from him being an ace. He’ll make a nice 1-2 punch with Felix for the next few seasons. I am targeting him in drafts if he falls enough to be my 3rd SP, but I’m not ready to trust him as my #2. Hisashi Iwakuma, SP: While he will never be a fantasy ace, he has quietly been a good consistent mid rotation SP since coming to the MLB. His ERA and K rates are above average for a SP, but it is his walk rate and WHIP that keep him relevant in fantasy. In seasons where he pitches over 150 innings he is usually good for 14-15 wins as well. The one red flag, and it is a big one, is that he had a 3 year deal signed with the Dodgers this off-season until they didn’t like something they saw on his physical. The Mariners stated they don’t see a problem and signed him back in a minute, with options for 2017 & 2018. He’ll turn 35 during the season. If you draft him expecting 200 IP, you may be disappointed, but he should be a reliably good back end fantasy starter once again. Nate Karns, SP: Karns took a step forward in Tampa as the season went on by greatly improving his change up, adding 2 inches of drop to it. He has a good K-Rate, but still walks a few too many and gives up over a homer per 9IP. With only 171 MLB innings pitched at the age of 28, he is a risky draft choice in shallow leagues unless he takes another step, but is definitely worth using as a streamer/spot starter, possibly sticking to the roster if he’s pitching well. Wade Miley, SP: I’m not sure I understand Seattle trading Carson Smith for an innings-eating, mediocre SP. I thought Smith was going to be the next dominant closer, something that Seattle did not have a replacement for. The trade was made prior to Iwakuma coming back on board, so maybe Dipoto wishes he could have this one back. While he probably makes a good #5 MLB SP, I’ve never owned Miley in fantasy. If he is on the wire, I’ll use him in good match ups, but I think folks who still draft him are reaching back for those 16 wins he garnered in his rookie season in AZ (2012). James Paxton, SP: I’ve been waiting on this guy for a long time, much as I am sure Mariners fans have been, but injuries have derailed his MLB career from meeting expectations. He’s 27, a big, tall lefty, and has a mid 90’s fastball and a big MLB curve that has not yet translated in the big leagues. He also walks far too many. He may end up in the pen if starting does not work out, but if he does he won’t help much in fantasy with his middling ratios and little chance of Saves/Holds. If he is in the rotation, I’ll be watching him on the wire. Don’t forget : Vidal Nuno, SP/RP, Mike Montgomery, SP, Joe Weiland, SP, Danny Hultzen, SP: Nuno is insurance, but probably is better suited for the pen. I’d have to see some good starts before I’d even spot him. The same with Mongomery and Weiland who are waiting in the minors for another chance to prove they belong in the MLB. Hultzen, once a top Seattle prospect, is working his way back from shoulder surgery and has not pitched effectively since 2013. He’ll probably start the season in the minors. Steve Cishek, Closer/RP: I have no idea why the M’s traded Carson Smith, but we must move on. Someone has to close in Seattle. Cishek won’t be 30 until mid-season, and was one of the better closers in baseball from 2012 to 2014. He mysteriously lost his slider last season and, after enough meltdowns, was removed as Miami’s closer and later traded to St L. Seemingly healthy, the M’s got him on the cheap, and are hoping he finds that slider again and can be an effective closer. If not, they will have to turn to Benoit. If you are in a ROTO 5X5 he needs to be drafted late for saves, a more advanced format and he is a mid pack reliever. Joaquin Benoit, RP/Closer: Again, I have no idea why they traded Smith, and it appears the 39-year-old (in July) Benoit will be Cishek’s insurance policy. He has all of 50 saves in his 14 year, 661 game career, most of them coming in the past 3 seasons when he was a part time closer for Detroit and San Diego. He has always been a decent set up man, striking out a batter per inning, but also allowing far too many walks and HR, something a closer seldom gets away with. As the Sox found with Uehara, it is tough to rely on a closer who is nearly 40. He is still a capable set up man and holds value in Roto as a speculative CLEW (Closer en Waiting), or in more advanced formats as a mid pack reliever. Don’t forget: Charlie Furbush, RP, Always a good LH specialist, good for Holds and IRS, but coming off Biceps tendinitis and a partially torn rotator cuff. Evan Scribner, RP, 64 to 4 K/BB in 2015. Joel Peralta, RP, back in the AL after a one year stint in LA, he’ll be 40 in a couple weeks. Ryan Cook, RP, a former closer for about a minute, working his way back from injury at 28. Ianneta/Zunino/Clevenger, C: For defensive purposes, the M’s have good enough catchers to get by, but none of them are likely to help you in fantasy. Zunino has tremendous power, but makes so little contact that he has not been able to hit .200. If he can get to .240-.250 and show good defense, then he’d likely hit 20-30 HR per year. Ianneta was brought in mainly for his defense. He is good for a random HR binge every season, but does nothing else. If you knew when that binge was coming it would be great, but likely by the time you see it happening it is almost over. Clevenger is a good back up, but at 30 we’re not going to see more growth. Jesus Montero, 1B/DH: Montero is running out of chances to give the M’s any value at all from the Pineda trade. He’ll need to get that chance as a RH hitting complement at 1b to Adam Lind, with Cruz locked in at DH. If any opening comes for more playing time, he’ll need to be ready. I’m not drafting him. Robinson Cano, 2B: Chances are his best days are behind him at 33, but Cano can still hit. When it comes to power, there is no 2b I’d rather own, and he is saying all the right things this Spring about his approach and conditioning; he seems motivated to have a big season. I’d expect his BA to come back to .300 and his power to remain the same. That puts him, for me, in the late 2nd to early 3rd round. It seems he’s been working on his triple play skills as well. Kyle Seager, 3B: Seager has developed into a good, consistent run producer at 3B for the M’s. At 28-years-old, and after cutting his K rate way down last season from 18% to 14%, Seager may have another growth spurt in him this season. Pencil him in for 28/90/.265, or maybe a little more. If you miss out on the elite 3b’s, grab Seager after the 5th round. Ketel Marte, SS: There is a buzz around this guy for sure after hitting .283 in his first 57 MLB games. He has no power, but if he is as good as he was in the minors and last season, I could see him stealing 20+, scoring 80+ and hitting as high as .300. He could also be the next Alcides Escobar and be better in the real game than in fantasy. I’m not ready to invest yet, but I hope the M’s get good value from him, which they will if he consistently gets on base from the two hole. Nori Aioki, OF: Another good, inexpensive (5.5M) signing for the M’s. Though he is 34, if Aoki gets enough at bats, he could be of value in fantasy. He hits both LH and RH pitchers. It may not happen with all the OF options, but he could score 80 while stealing 25 and great defense in RF. There is no power. Seth Smith, OF: Smith has always been quietly productive vs righties, and even though 2015 was a down year, he should get back to mid-teens HR and a decent average. He is 33, though, so don’t expect improvement. He may not be drafted in some leagues. He should platoon with Gutierrez. Franklin Gutierrez, OF: I always thought if he could get regular at bats he’d hit pretty well, like he did for a couple of years in his 20’s. Now injury prone and 33, it is doubtful he’ll be draftable again in fantasy. I always pick him up when he is on a roll, and last season he got me 10 HR in 40 games. He should platoon with Smith. Leonys Martin, OF: This could be one of the steals of the year, both for the M’s and fantasy owners. The M’s have him for 1 year and 4.1M, and he may be largely forgotten in some leagues on draft day. If he can stay healthy and man the CF position and hopefully, but unlikely a top spot in the lineup for over 500 AB, you should get 80-90 runs and 30+ SB. I could see drafting him in the mid-teens as a low risk/high upside flyer. Batting 9th reduce that a bit. Nelson Cruz, OF/DH: Cruz had another big year, setting career highs in hits, runs and HR, while slashing .302/.369/.566. But he also had a BaBip of .350, nearly 50 points higher than his lifetime mark. Of his 44 HR, 17 were hit in Safeco. He is also turning 36 in July. The M’s, the fans, and myself as a fantasy owner all hope he does it again, but between the BaBip and his age, some regression is likely. I could also see him being trade bait if the M’s were to fall out of it early. I’m debating whether to keep him in a 4 keeper league, and would probably not reach higher than the late 3rd or 4th round to get him at this point. The M’s minor league system is not rated very highly, 28th by Baseball America (2), but there are some players whom may help in 2016, even if not impact players. Tony Zych, RP: The 25-year-old Zych has been a reliever in the minors exclusively, saving 20 games over 4 seasons with a pedestrian 3.7 ERA and 1.3 Whip, and a K/BB rate under 3.0. In 2015 he seemed to find himself, sporting a 6.1 K/BB, 2.98 ERA, 1.97 WHIP and 9 saves in 40 minor league games. He carried that success to the majors, and while a small sample size, he had a 24 to 3 strikeout to walk rate in 18 innings. 2015 was so much better than the rest of his Milb career one has to wonder if it is sustainable. He should make the club out of Spring Training and some predict Zych closing by the 2nd half. The two run lead he gave up just yesterday won’t help, but he is worth watching for those speculating on saves. It is not like Chapman, Miller and Betances are ahead of him. DJ Peterson, Sea, 1B/3B: This is what Minor League and Dynasty analyst Bryan Luhrs (3) had to say about Peterson: “Once a plus power and plus hit prospect, DJ was befuddled by AA pitching last season and has altered his swing. Potential is there, but he has fallen from a Top 50 prospect to barely hanging on to Top 200. Cautiously optimistic he figures things out.” Sounds like he could be anywhere from AAA to Lind’s platoon mate. Keep an eye on him. Boog Powell, OF: Powell could see some time in the majors this season for defensive purposes, but I don‘t see him helping much in fantasy. Alex Jackson, OF: Jackson is a plus defender who looks like he has some power, but at age 20 his hit tool has not shown up yet. I don’t see him helping in 2016 unless there is a breakdown at the MLB level. Dae-Ho Lee, 1B: Lee has been a prolific right handed hitting 1b man in Japan for 15 years. The 6’4” 286 lb. Lee hit 323 HR, 1157 RBI and a .303 BA in Japan, once hitting HR in 9 consecutive games (World Baseball Record). In 2010 & 2011 he went 44, 133, .364 & 27, 113, .357. Those Ruthian numbers may not translate to MLB, especially now that he’ll be 34 in June. But the M’s got him for $4M for one year and we’ll see what he can do. We’ve seen him before, both in the Olympics and the World Baseball Classic. It would be fun to see him beat out Montero for the right side of Lind’s 1b platoon. This is a speculative pick, both in fantasy and for the M’s. Guillermo Heredia, OF: Another inexpensive (4.4M) low risk signing for the M’s. Unlike Lee, Heredia just turned 25 last month, so he still has room to grow as a player. He defected from Cuba in January and has played in Cuba for 4 years including the World Baseball Classic. Known for stellar defense, in 376 games he hit .285 with an OBP of .376, 23 HR, 121 RBI & 20 SB. So, he gets on base, has a little speed and gives good OF defense. Aoki and Martin both bat left handed, while Heredia is a righty. He could end up in a bit of a platoon with them if he hits well and Gutierrez goes down for his annual injury. Keep an eye on this spec. pick. See you next week when we’ll do a similar breakdown of the Texas Rangers. 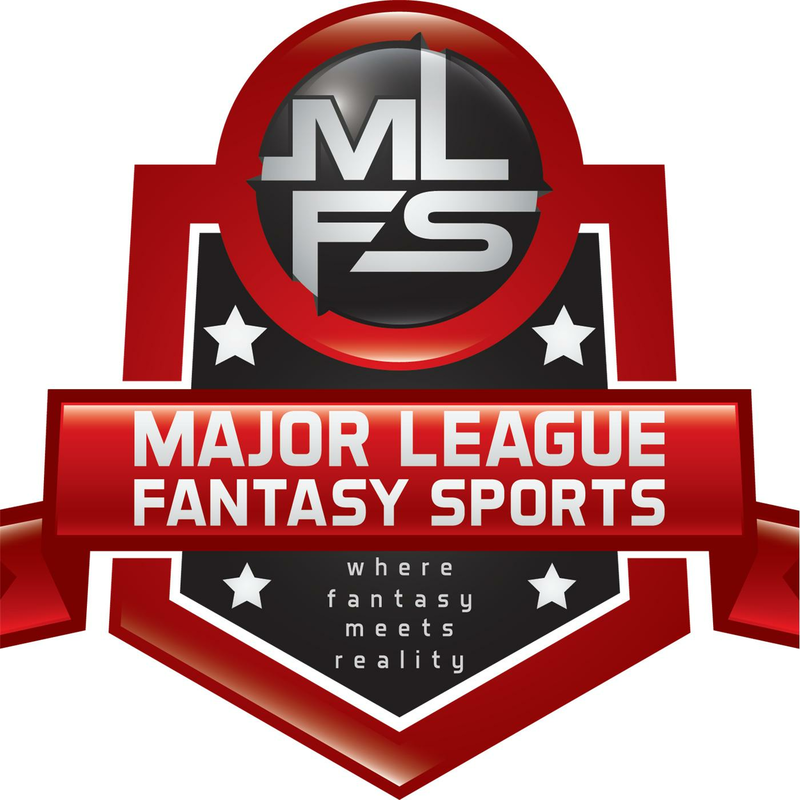 Major League Fantasy Baseball Weekly: Join Lou Landers and Kyle Amore live on Thursday March 3rd, 2016 from 8-10pm EST for episode #3 of Major League Fantasy Baseball Weekly. We will discuss player positions and help prepare you for the coming draft season. This will run every Thursday as a live broadcast that will take live callers at 323-870-4395. Press 1 to speak with the host. Our topic this week will be 1st base and 3rd base players to target or avoid this year. Our guests this week are Zak Sauer and Eric Paulen. Zak is a writer with majorleaguefantasysports.com as well as an owner in MLFB and MLFF leagues. Zak’s articles publish every Thursday. Eric is an Emmy and Peabody Award winner with significant experience leading large film/video production projects spanning all genres of television. Eric has been successful at building and directing production teams in developing and implementing programming content for diverse audiences with well-known television networks and brands, including A&E, ESPN, HBO Sports, CBS Sports, Sports Illustrated, The Travel Channel, WWE Network, The NBA, NHL Productions, NFL Films, and NCAA. Major League Fantasy Baseball Show: Join Corey D Roberts on Sunday March 6th, 2016 from 7-9pm EST for this week’s episode of the Major League Fantasy Baseball Radio Show. We are a live call in radio show so we encourage callers at 323-870-4395. Press 1 to speak with the host. This week we will help you build a better bullpen and we will also discuss catcher options for 2016. This week’s guests are Joe Iannone and Mike Stromme. Joe is a writer with majorleaguefantasysports.com and you can check his articles out every Sunday. Mike is also a writer with MLFS and he is also the assistant editor.